The Latino Comedy Project (LCP), a local comedy troupe, earned praise after their 20th anniversary reunion performance this past fall at the Out of Bounds Comedy Festival. The group debuted their current show, “Gentrif*cked,” at home in Austin before heading out to the West Coast, where they were met with applause at the San Francisco Sketchfest. Building on this momentum, the LCP took “Gentrif*cked” to the San Francisco Mission District, putting on four sold-out shows in the notoriously gentrified neighborhood. Born at the University of Texas in the late 90’s, the LCP has witnessed the explosion of Austin, as well as the unfortunate social issues that tend to come with immense population growth, such as gentrification. But Austin is not unfamiliar with gentrification, as developers have slowly been expanding East for years and in doing so, eradicate years of Latino heritage. The “[development] is concerning because it’s ramping up,” says Villegas, as the city is “welcoming the top bracket” and systematically forcing minorities out of their land. 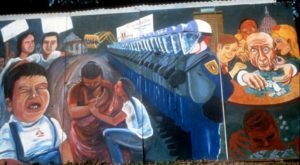 East Austin, while one of the most heavily gentrified areas in the city, is still Austin’s main artistic hub, and resistance art such as the mural below by Raul Valdez will continue to be created in the face of developers. “Gentrif*cked” is a new addition to this long tradition of artistic resistance. The LCP has regularly strived to stay ahead of the curve with regard to their content, from early joke that questioned the Iraq invasion in 2003 to their newest show on gentrification. “That’s always what we’ve done…[tried] to be the other voice,” according to Villegas — a voice that undoubtedly needs to be heard, as a response and alternative, despite the fact that popular media consistently tries to drown it out. After taking a break from performing, the LCP had to decide what they wanted the focus of their reunion show to be — a series of the group’s “greatest hits” or an entirely different direction with new content. The group ultimately wanted to seize the opportunity to make the reunion “more than just another sketch show,” and decided to use their art as a platform to discuss the serious problems facing their own neighborhoods. Choosing to focus on the widespread and visible problems of gentrification in Austin, the LCP is making a statement that citizens will not allow years of culture and history to be forcibly turned over for profit. 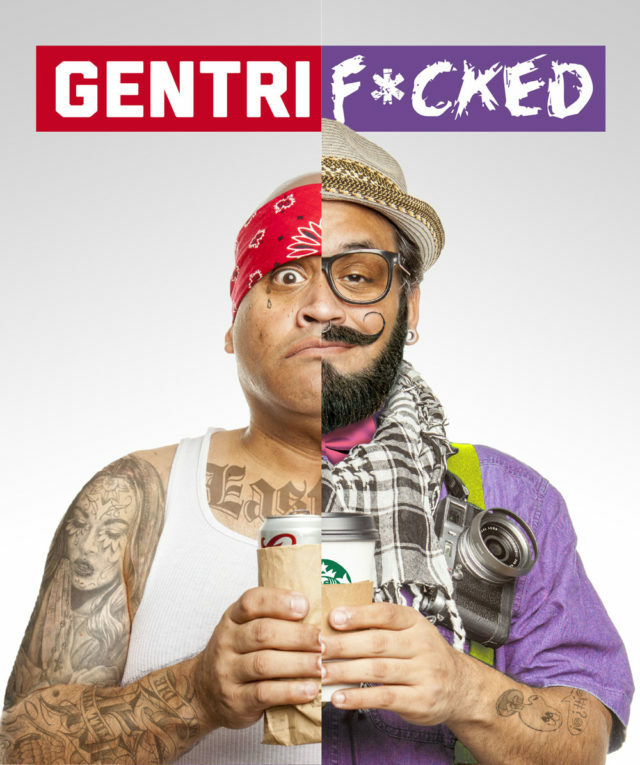 A huge part of “Gentrif*cked” that Villegas emphasized was that it is a show that not only highlights some big problems with gentrification in an innovative way, but also tries “to motivate people to actually get involved in what’s happening to our community.” Villegas noted that he “is starting to envision the show as an organizing tool” as well, adding that “the intersection between art and activism is key.” He is confident that “the art is kind of empty if you’re not enacting some change out of it,” so at each show, the LCP plans to include a call to action in which, after highlighting key issues throughout the performance, the group can then point the audience members in the direction of organizations that are facilitating meaningful change.  By partnering with activist organizations such as Jolt, the LCP is hoping to send a powerful message to the entire state of Texas, against not only gentrification, but all racist policies or laws that are unfairly put into place. By using “Gentrif*cked” as a means to mobilize people, the LCP is taking important steps to get viewers involved. After watching the absurdity of the real situations that people face everyday, audience members will hopefully take it upon themselves to join with Jolt and other organizations in an effort to make lasting and meaningful adjustments in their own communities — from educating the public on the unconstitutional and hateful SB4 to registering neighbors to vote.